Spain’s Prime Minister Mariano Rajoy on Saturday offered to hold talks with Catalonia, but gave no indication he would allow the wealthy northwestern region to vote on independence. The offer of talks was made in a letter sent to the head of Catalonia’s regional government, Artur Mas, only three days after hundreds of thousands of Catalans formed a 400-km human chain to push their independence bid and demand a referendum. Growing calls for secession from Spain in the region of 7.5 million people has added to pressure on Rajoy, who is already mired in a corruption scandal and seeking to drag his country out of recession. 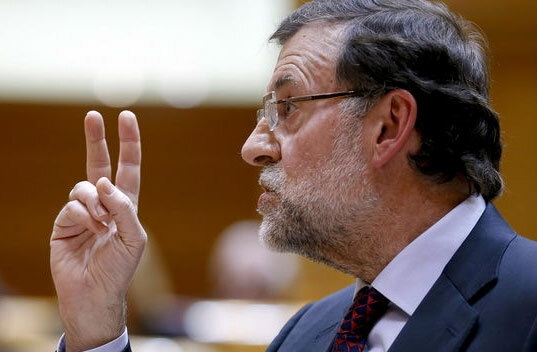 Rajoy did not specify which issues should be part of the proposed talks. He has said in the past that a vote on Catalan independence would be unconstitutional and has pledged to block it in the courts.